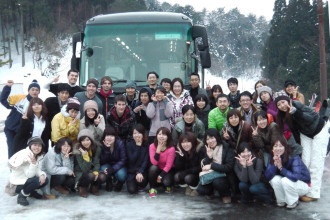 There are numerous opportunities to meet new people and socialize in Japan. Depending on the area, there are places where westerners like to meet and network. 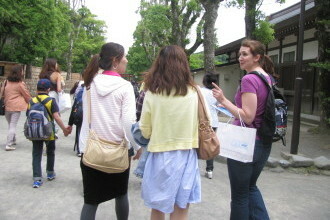 Additionally, there are of course plenty of opportunities to meet Japanese people. The more willing a teacher is to explore and try new things, the more people they will meet. AEON encourages its teachers to develop not only strong teacher-student relationships, but we also encourage our teachers to develop long-lasting friendships with students. Socializing with students in a group setting outside of the school helps teachers get to know their students more and vice versa. Students may offer to take you out for dinner, show you around the city, take you to famous sightseeing spots and festivals, or even invite you to their home to meet their family. Getting to know your Japanese staff members and students will create opportunities for cultural exchange, increasing the enjoyment of your job and your stay in Japan. You may find yourself doing things that you had never expected to be able to do – participating in a traditional Japanese tea ceremony, trying your hand at shodo (Japanese calligraphy), learning a martial art, or even attending a Japanese-style wedding. AEON-organized functions such as Halloween and Christmas parties provide opportunities for students, both adults and children, to interact with teachers outside of the school environment. It is also not uncommon for AEON teachers to plan group outings with their coworkers or students during their vacation periods, days off, or after work. 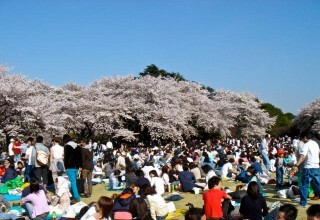 In addition to going out for dinner and singing karaoke throughout the year, some typical seasonal group outings include ski trips in winter, cherry blossom viewing parties in spring, fireworks festivals in summer and harvest festivals in fall. Company sponsored activities are also held throughout the year and are usually organized by AEON head offices. These types of activities give both students and teachers the opportunity to expand their network of friends in an educational setting. Some examples of these activities include bus tours, Christmas dinner parties, and children’s recital performances. The more teachers become involved in activities apart from teaching, the more complete and enjoyable their experience will be. When it comes time to return home, teachers will realize that they have created lasting memories and lifelong friendships.